Hear about travel to India as the Amateur Traveler talks to participants from the Amateur Traveler trip to India in November of 2017. In this special episode of Amateur Traveler I get to introduce to you some of the wonderful people who joined me in India last November. We did this trip with Intrepid Travel, taking their “Indian Getaway” tour. 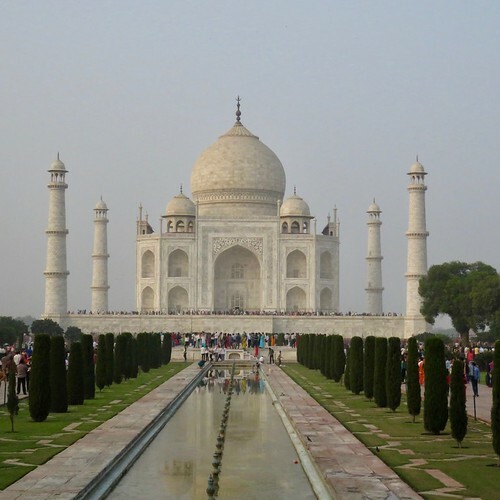 We will talk about sites to see like the Taj Mahal but we will spend more time talking about some of the amazing experiences. We drove in tuk tuks and pedicabs. We took the subway and night trains. We went to markets, mosques, and a Sikh temple. 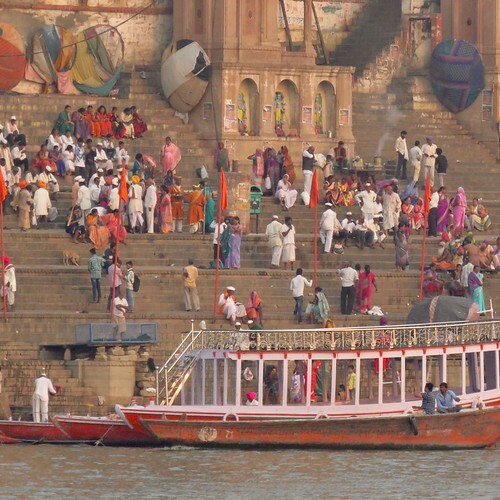 We took a boat ride on the Ganges river in the holy city of Varanasi at sunset where we watched people pray at and bathe in the Ganges. We walked as people brought their dead to the river to cremate them. We visited old English forts and dodged sacred cattle (and sacred cattle poop). We tried street food, drank lassis, ate biryani, samosa, naan, dosas, uttapams, and much more. We stopped at carts along the highway to sample water chestnuts and fresh fritters. We visited a small village and watched a sunset over the fields of rural India. We climbed to an old fort to watch the sunrise and stayed in the house of the family that used to be the village’s landlord. We visited the Taj Mahal, the Palace of the Winds (Hawa Mahal), and the Amber Palace. We went to a Bollywood movie and also saw two being filmed. We closed our eyes in the traffic and learned to get used to the constant honking. We had excursions that got “India-ed”, side tracked by touts and tuk tuk drivers. First time landing on your blog while looking for some really inspirational travel bloggers. Loved the minimalist theme of your blog. Inspired by the way you wrote about your journey in India where you visited popular historical monuments, had the best of Indian delicacies and even managed to watch a Bollywood movie along with seeing two being filmed. You did so many things and explained in such a short way is amazing. Think how much you would have enjoyed it had you listened to the podcast. Just now I listened to the podcast and I must say the intro is an excitement triggering. Just a suggestion as one of your blog audience, you should post videos too. It will more engaging.